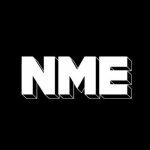 Hi, I’m Jamie from Noisettes, and we’re going to be blogging for NME while we’re on tour with Maximo Park. Here goes! We flew in from New York City last night. It was a long drive from London to the Tyne – all in all it took 22 hours and 36 minutes to get from our hotel in NY to our hotel in Newcastle. I was very happy that I managed to keep my PJ’s on all the way from NYC – I was getting funny looks everywhere, but It was worth it. I am currently listening to ‘X Ray’ by The Maccabees – I love them so much….I also heard a new Florence And The Machine tune which was insanely good. Some people say music is dead in England but I disagree – there’s so much amazing stuff out there. I am going to wander around this beautiful city…I will be back to let you know how the show went. I’m off to watch Maximo Park now – we love you Newcastle…As the tour goes by I will have pictures and videos for you all to enjoy.